Kris McChesney of CapRock Real Estate did an incredible job getting 261 Little Park Road sold in under 14 days on the MLS! 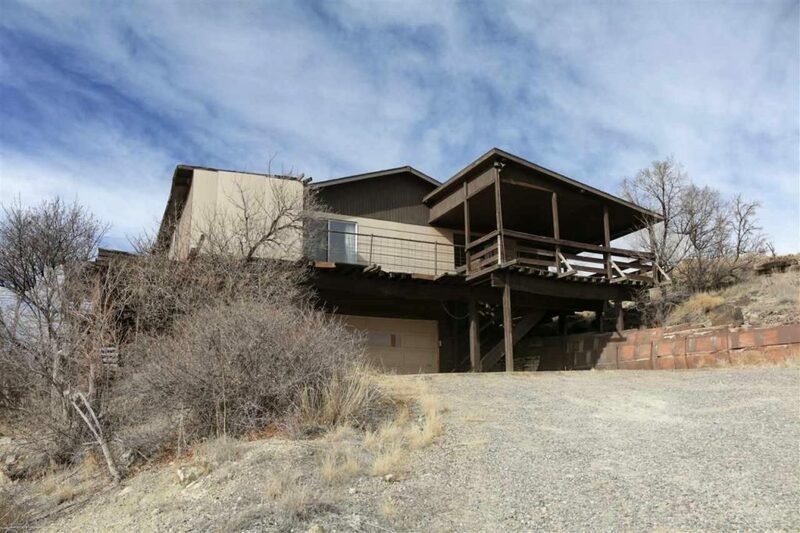 1970’s style mountain bungalow built up on the side of the hill! This is a fixer-upper and diamond in the rough. It’s a rare Little Park Rd opportunity that backs up to BLM. Incredible views of Grand Mesa, Mt. Garfield and the valley as well as the Monument out the back. Decks need replacement/restoration and currently surround the home for privacy and views creating outdoor living space that is breathtaking. Unique time-period Spa room in basement fitted with 1/2 bath, hot tub and sauna. Fireplace in living room w/picture window of the hillside just feet away. This is a must see to appreciate the potential. Sliding glass doors off eat-in-kitchen dining area, master bedroom and basement. Lots of basement storage off two car garage bay. Room in basement to convert into a third bedroom. Informal dining room off kitchen, formal dining area off living room. 10 minute drive from downtown.